When a California wedding planner sets out to plan her own wedding, you know expectations will be high. From choosing the perfect venue to finding the dress, Lauren of Laurel & Fey had her work cut out for her. Residing in Pasadena, Lauren and Christian frequented the endless amount of wineries within a few hours drive of their home. On a wine tasting excursion in Paso Robles, they came across their soon-to-be wedding venue, Hammersky Vineyards. 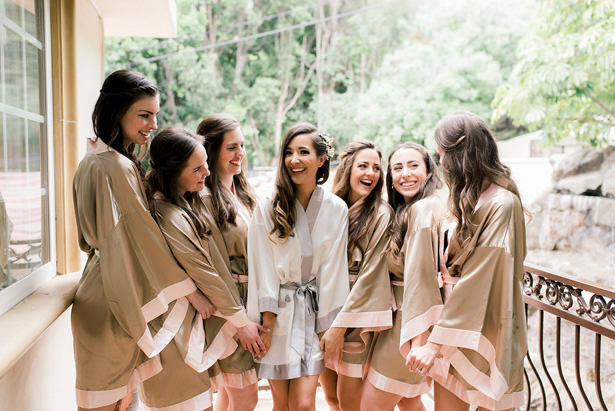 Tucked away in the Central Coast's rolling hills, Hammersky provided the charming backdrop to create the French countryside inspired wedding the couple was dreaming of as a nod to Christian's roots. 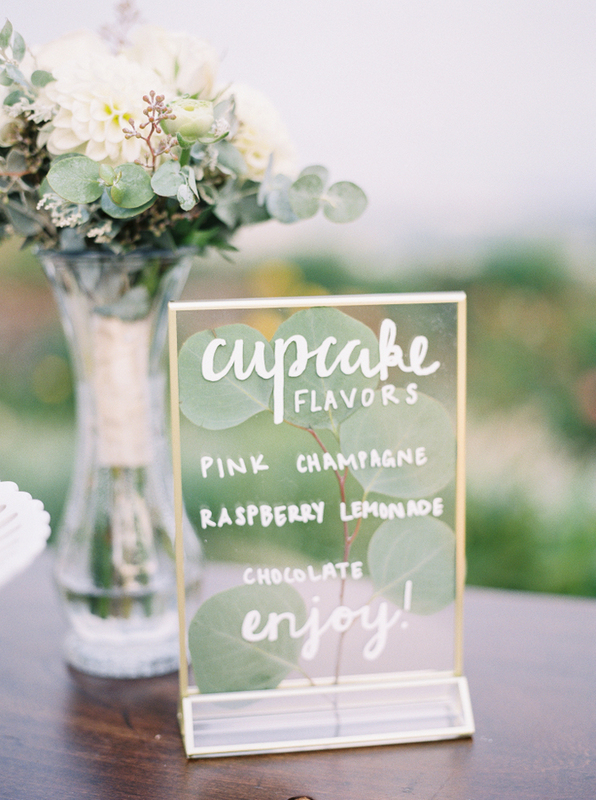 Fast forward to the wedding and the couple made sure that the day was full of their favorite people, things and memories including message-in-a-bottle place cards as an ode to Christian's proposal and their favorite olive oil cake from home. 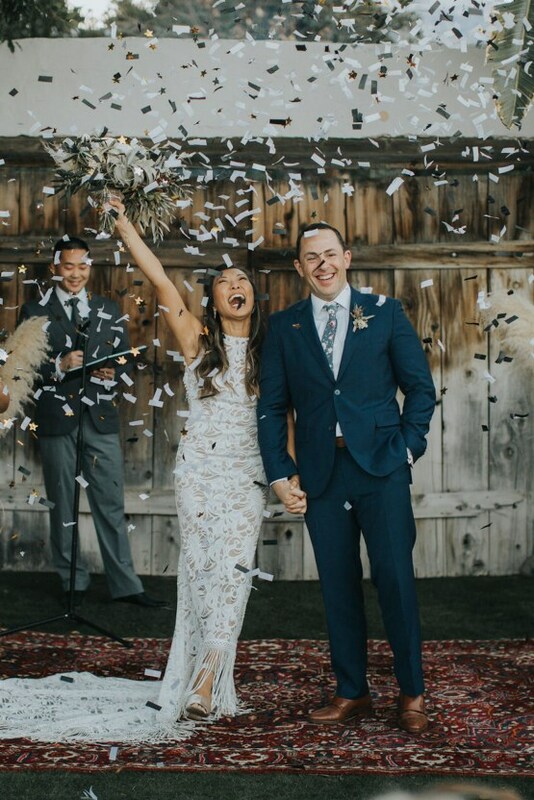 We caught up with Lauren about planning her own wedding, all of the details that went into it, and, of course, all about her stunning Marchesa dress. Give us a rundown of your vision for your wedding. We wanted to tie in my husband's "french countryside" roots with the central coast landscape that I was born in. It was important to us that our families all felt as if they were invited to a weekend getaway on a vineyard tucked away in the rolling hills. Guests arrived on the lawn under a curved oak tree that framed the vines for the ceremony, then moved over to the tasting room to tastes the wines and listen to music from the 1940's. 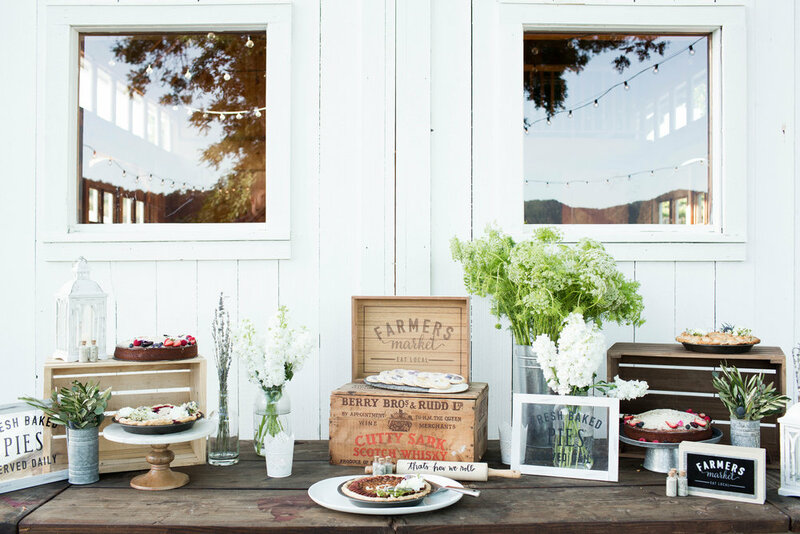 After guests took their seats for the reception in front of the farm house and barn, they enjoyed a family style meal and wine on the tables. 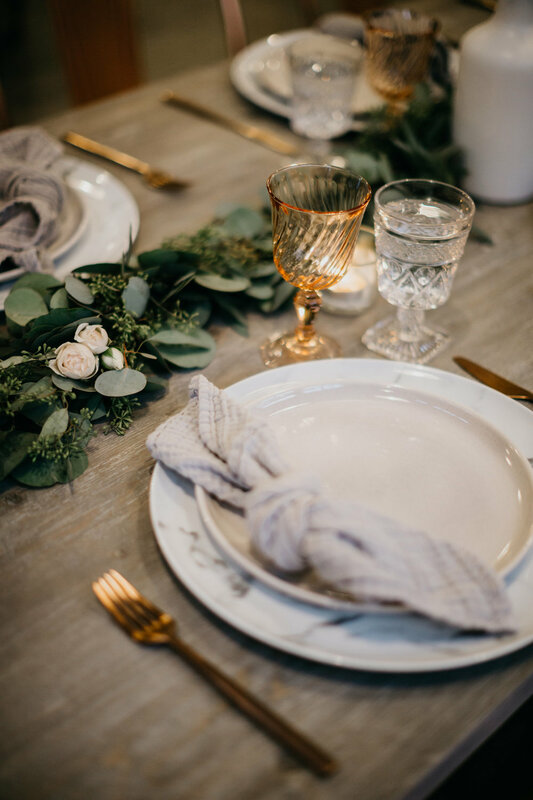 Family style plates, white stock, thistle and olive leaves aligned down the center of the communal style tables kept conversation flowing. Christian and I are not big cake fans, so we thought brought up our favorite olive oil cakes from Lincoln Pasadena to share with our guests. We ran with the idea of baked goods and offered a dessert table with floral pressed shortbread cookies, pies and a rolling pin with the words "that's how we roll." Everything was personalized and geared toward we what we enjoy most, food, wine and music. ﻿This gorgeous outdoor setting of this woodland wonderland wedding made Julie’s (from It’s Le Jules) big day feel like a modern fairytale! 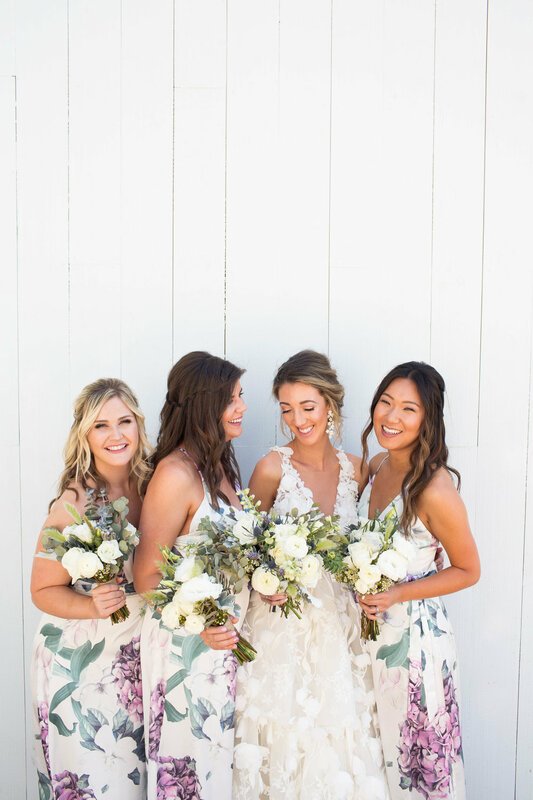 The stunning greens of the outdoors were paired with bouquets of roses, scabiosa, rice flowers, hydrangea, eucalyptus, and greens to really bring the garden effect — and the soft colors of the design palate and the bridesmaids’ dresses really kept that subtle glow (with a few sparkles of course)! Not only was it a gorgeous design scheme, the little personal details — like Bruno, the groom’s illustration on the guestbook — really gave it a special touch. 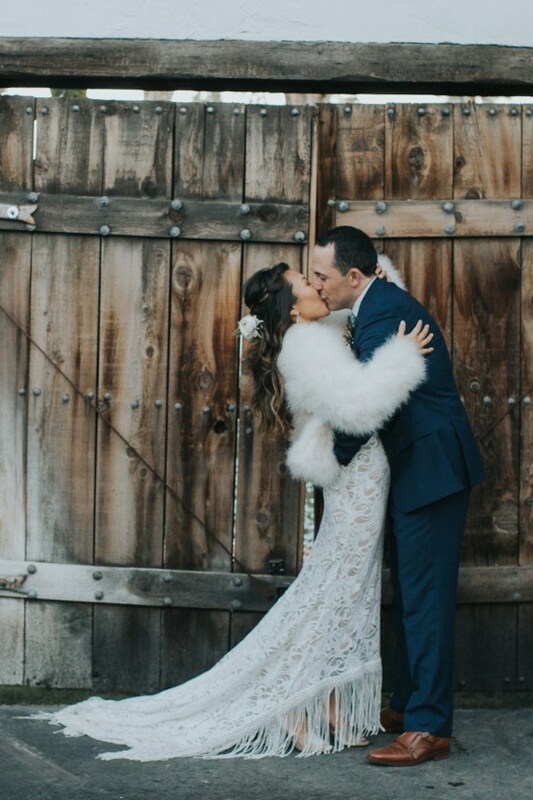 Check out the FULL GALLERY from XO and Fetti Photography to see how a lifestyle blogger and her boo make their outdoor wedding an utterly breathtaking and totally sophisticated affair in the woods! We LOVE the meaningful details in this gorgeous, airy wedding! 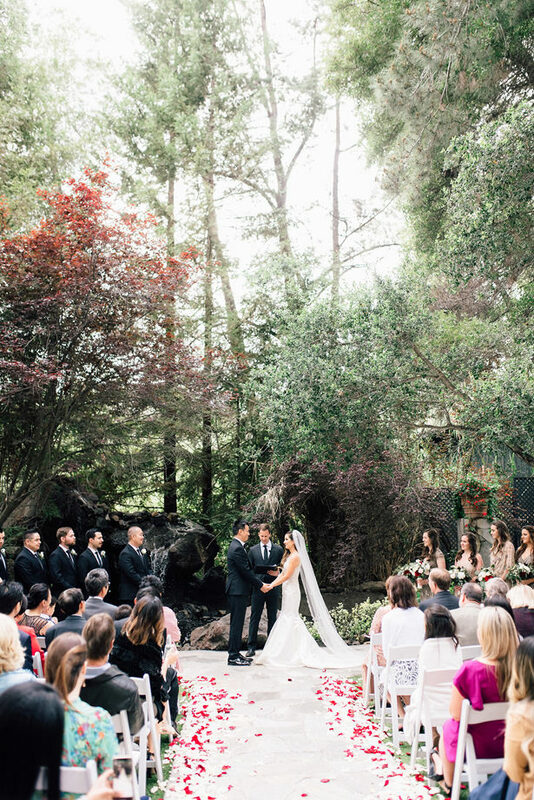 Tons of lush greenery and huge trees set the perfect backdrop for this special day. You might have seen this wedding in the Apple Brides magazine and now it's online, because we're smitten! The groom is a firefighter, and tributes to his bravery can be seen throughout the wedding and even his proposal. The bride shared their story with us, saying, "Because he's a firefighter, his interest in walking to the fire station under the Bay Bridge wasn't out of the ordinary. As his sweaty palms were practically dragging me down the Embarcadero, he drew my attention to my left where there was a fireboat cruising out in the bay. He then pointed to my right where 3 people were walking towards us holding a sign that said "Marry Him". By the time I realized the 3 messengers were my best friends from LA, SF, & NYC, Garrett was down on one knee. 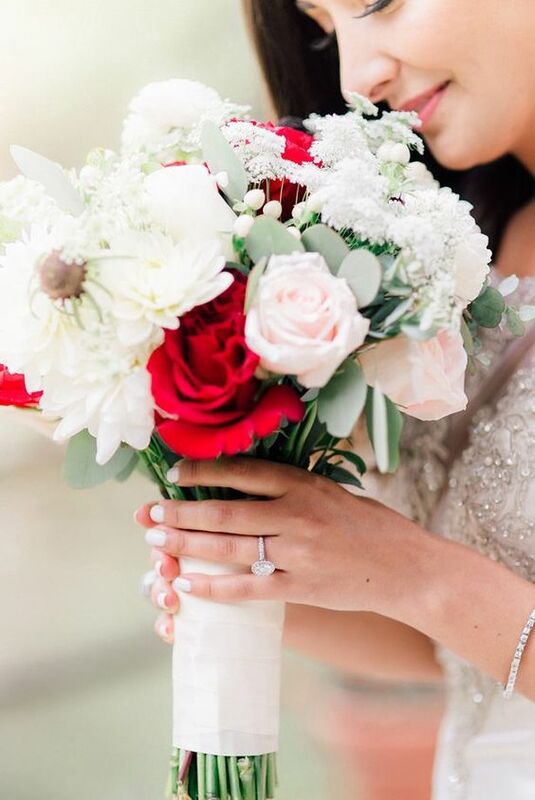 When he asked me to be his wife, I said the only word that came to mind, "Absolutely," and as he slipped the ring on my finger the fireboat began spouting water!" Andrea and Erin relied on the wedding planning expertise of LAUREL & FEY to recreate their dreams into a gorgeous LOMBARDI HOUSE wedding in just 3 months! 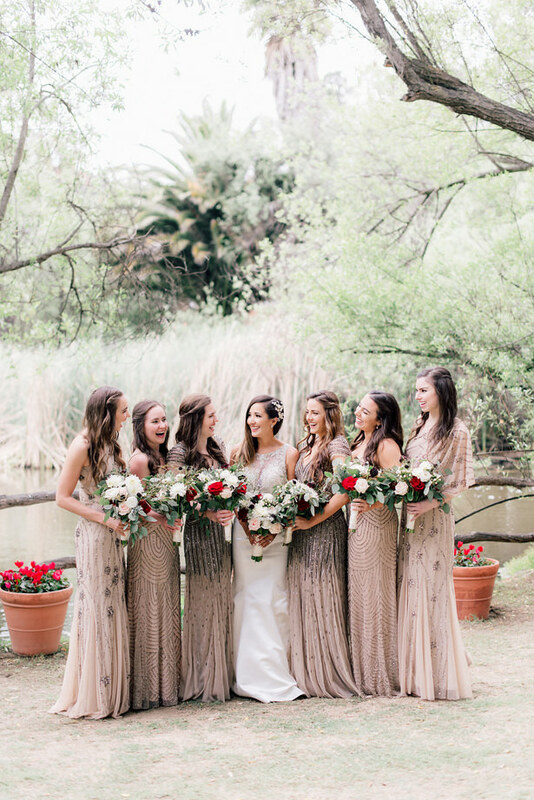 Using a neutral palette of blush, grey, and cream with copper accents and handmade details, they transformed the quaint LA venue into a modern rustic fairytale location where they could relax, dance, and indulge in their favorite foods with their favorite people. Both brides killed the bridal style game in two totally unique yet equally elegant wedding gowns, sleek updos, and matching cream and blush bouquets created by BRASS FERN HOUSE. 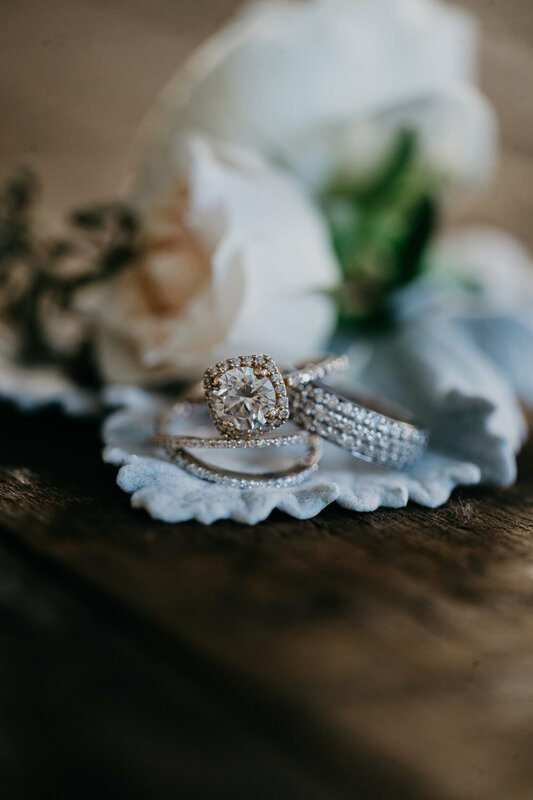 Between the expert design, the heartfelt moments, and the creative eye of LINDSAY VANN PHOTOGRAPHY who captured it all, this LOMBARDI HOUSE wedding will keep you smiling from beginning to end! The perfect mixture of life’s organic treasures tied in with the freshness of spring was dreamt up by LAUREL & FEY for this inspiration editorial. 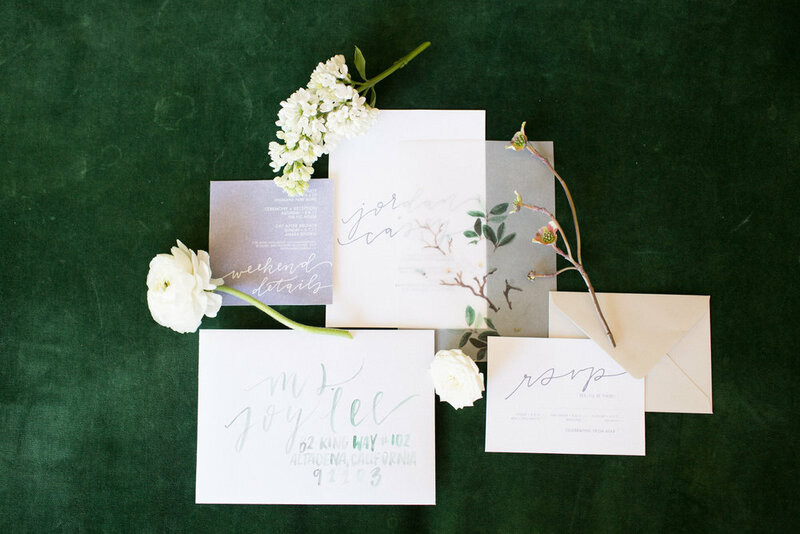 The bright shades of green at THE FIG HOUSE made it the perfect venue to host a modern and organic inspiration shoot while incorporating white, shades of green and earth-tone colors from ARCHIVE RENTALS. THE BLOEMIST put the focus on natural blooms in the organic all-white bouquet and centerpices. The illustrated and calligraphy paper pieces are by SONG & PEN and the delicate silk, hand-dyed laurel leaf headpiece is by MIGNONNE HANDMADE. VANILLA BAKESHOP created a show-stopping cake of cascading real-life size magnolias, almost as if they picked them themselves. 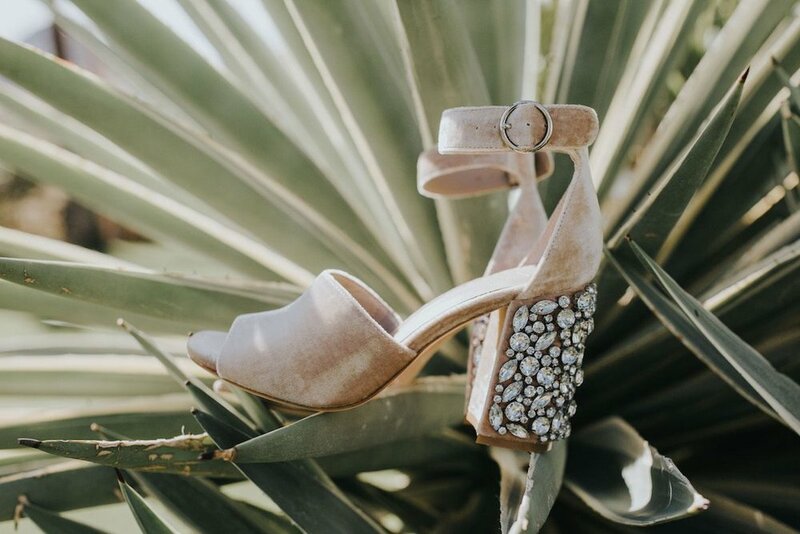 The team enlisted photograpaher ALLY BURNETTE to capture all the details and they’re here for your inspiration in these beautiful images. Inspired by This just featured our first wedding from January 2017 that we designed in just 3 months. Big thanks to an amazing team that helped bring this wedding to life Revel Petals, Archive Rentals, Frost It Cakery at the Lombardi House. A HUGE thanks to Natalie Franke for capturing this memorable evening. Autumn has been and will always be a time of transition — from light to dark; the long summer days turn to long winter nights, leaves change and fall from their lofty branches, the trees are left barren, waiting for renewal and the kiss of spring. This shift in seasons is a great romance — a rhythmic waltz between dark and light — that transforms all in its path and makes way for growth. 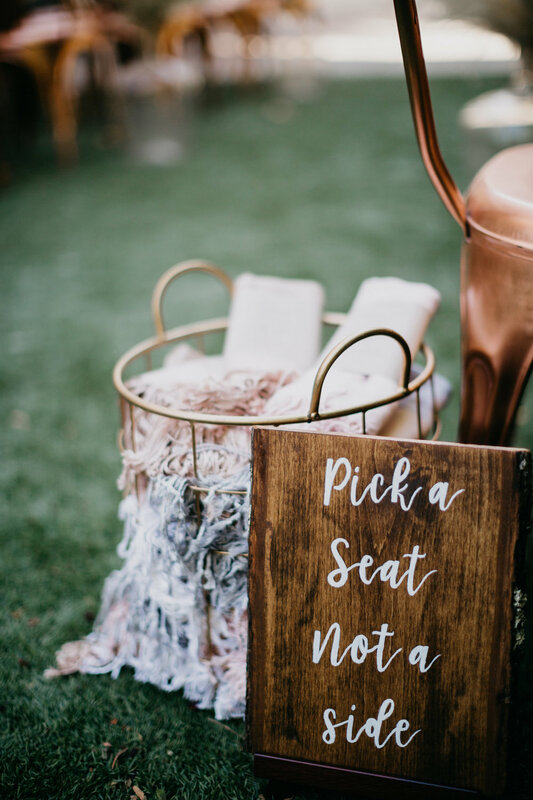 Inspired by this, designer Jenni MacLeod of The Blushing Bird along with Revel Petals and Laurel and Fey, crafted a stunning styled shoot at Oak Canyon Ranch in Los Angeles, all photographed by Tyler Branch. Marisa of Revel Petals shares A wedding is a transition into the newness of marriage and life as a union. What could be a more perfect inspiration for a moody autumn wedding? With harvest as a major marker of autumn, we wanted to create a contemporary interpretation of Grant Wood’s American Gothic. We imagined our couple as farmers, younger than Grant’s characters yet still embodying the stern, hard weathered perspective of the painting. This harshness is coupled with the vulnerability of love, creating a tense beauty that we weaved throughout the story. White Magazine featured our styled shoot. Check out more images by clicking the link below.